Cantex Coupling of trade size 2-inches, is useful to join lengths of conduit pipe. 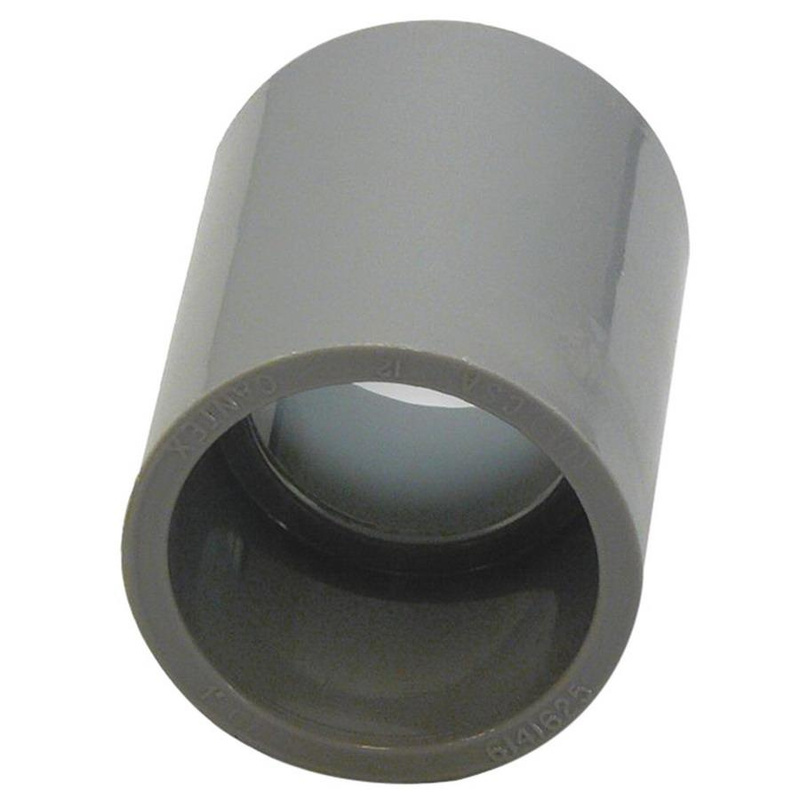 This coupling in gray color, features PVC construction. Coupling with center stop, measures 2.375-Inch ID x 2.688-Inch OD x 2.438-Inch. Schedule 40 coupling comes with female connection. Coupling is UL listed, CSA certified and meets NEMA/NEC standards.